“Circus is also an online sports betting platform (Sportbook) which offers more than 50 sports or games in pre-match and more than 20,000 live events per month.” The Sportsbook is very good and includes basket betting, cycling, F1, football and tennis betting. Something we have not seen in other casinos is called Dice-games. The difference is that Dice-games “show dice instead of other symbols on the reels.” A fun thing is that there is a section were you can see recent winners. A player called regalan won 250,510.00 € in the game Quarter Million Dice a couple of days ago. Another good thing that we don’t see very often is that you can see the minimum and maximum bet on a game before playing it (or entering it). Circus has a lot of tournaments and a promotions page with constant new promotions. This is how landbased Circus Casino looks like from the inside. If you want to try a Circus game, you can play a fun game called Circus Brilliant at Circus Casino. The game has a multiplier-function, jackpot, freespins and good sound. The developer behind the game is EGT. 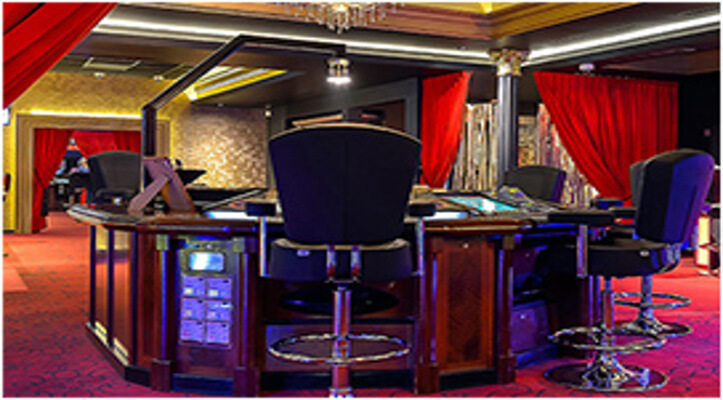 The casino mostly gets good ratings and is often placed high on the lists, when all online casinos are rated. There is one exception, the casino got some bad player-ratings at Askgamblers for some reason. When we checked the complaints on Askgamblers for the casino, we saw that 12/13 complaints have been resolved and we must say it’s a good sign. We have tested the casino and got hooked on it. It’s a lovely casino with lots of things going on 24/7, it’s almost like a Circus! You will find lots of good NetEntgames and a lot of other interesting things like e-sport in the casino. It’s really exciting to receive a giftbox each month. It’s something you can enjoy after you have joined the casino. The help-section is great. You can find answers on most questions. One thing we don’t like and that we think could have been better is the chat opening time. The chat is in general open between 16:00-24:00. Circus.be is usually quick to respond on emails though. In general it takes 15-30 minutes for the support to answer questions. You should definitely try the casino. You will immediately get a 5€ No Deposit Bonus on casino or as a freebet (on Sportsbook) after registration. You will also get an extra 5€ No deposit bonus after you have entered your mobile phone number on the page ‘My details’ in your account. The Welcome Bonus is on 100% with a maximum of 250€. The wager is ok, it’s on 30X the bonus-amount. A very good Vip-club with serious possibilities. A very safe casino with license from Belgian Gaming Commission. We on NetEntCasinoNoDepositBonus tested the casino and got some winnings on one of our favorite games, Gonzo’s Quest. We made a withdrawal and got the money smoothly without any problems. Enter your mobile phone number on the page ‘My details’ in your account and enjoy a €5 NO DEPOSIT bonus (valid only upon the first validation). Read full Bonus Terms here! Sign up and have a good time!